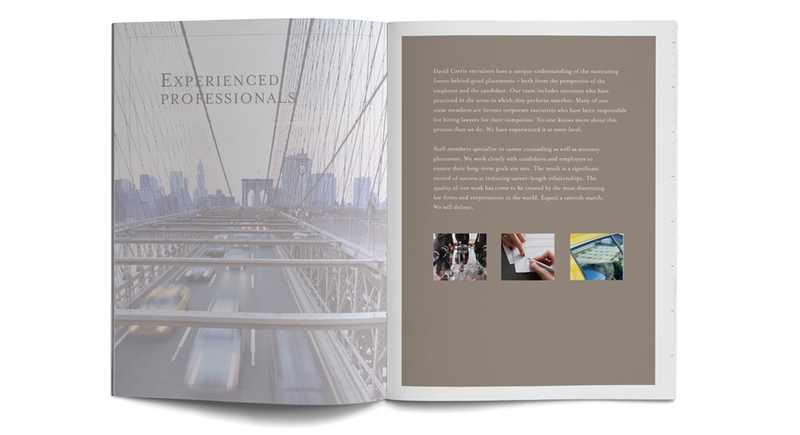 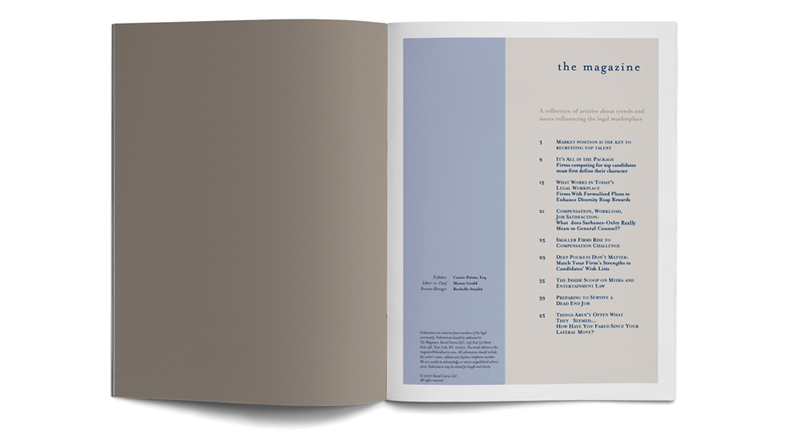 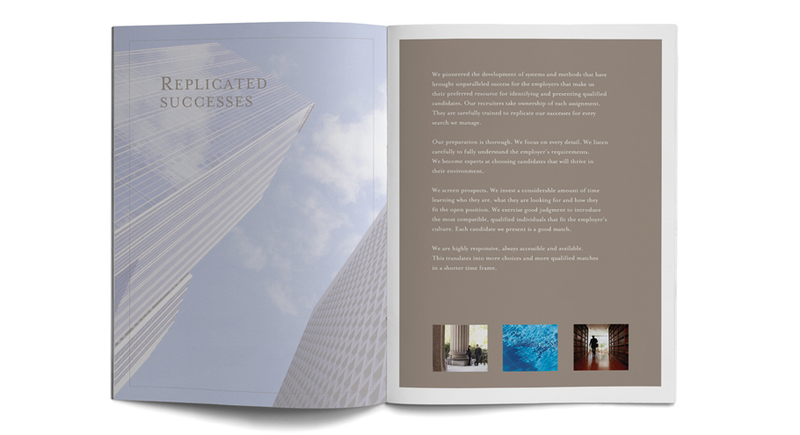 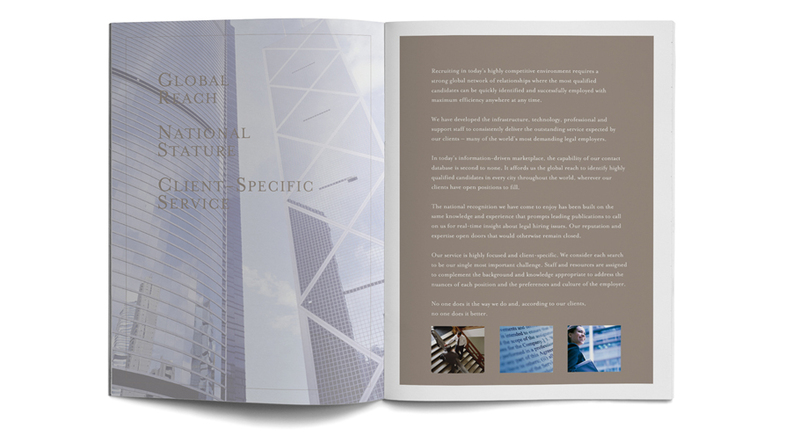 Brand identity, print collateral, and website design for an award-winning legal staffing firm. 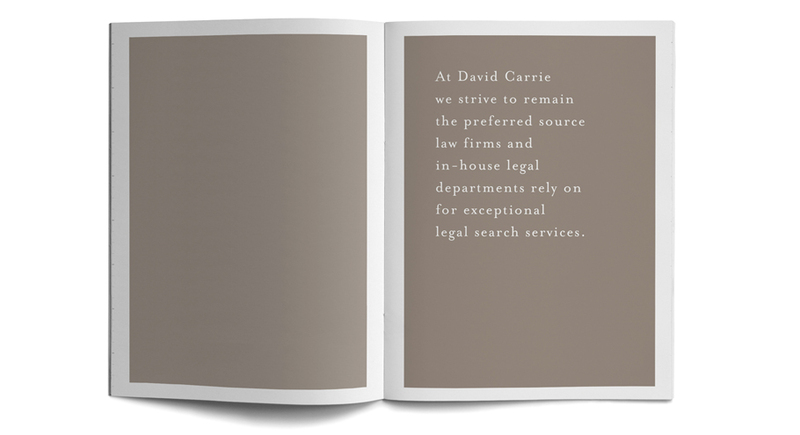 David Carrie LLC, the only legal staffing firm to achieve BEST ranking in all three New York Law Journal categories (“Best New York-Based Legal Recruiters,” “Best Legal Staffing Provider (Attorneys),” and “Best Legal Staffing Provider (Legal/Litigation Support Staffing)”) wanted a new brand identity, print and digital materials that delivered a consistent look and message. 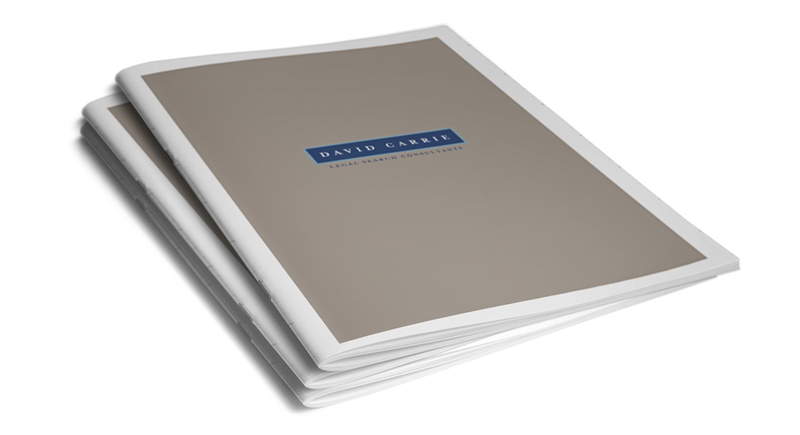 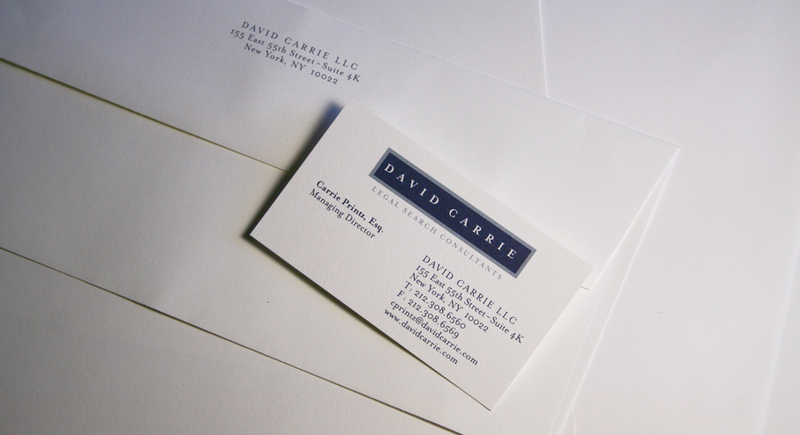 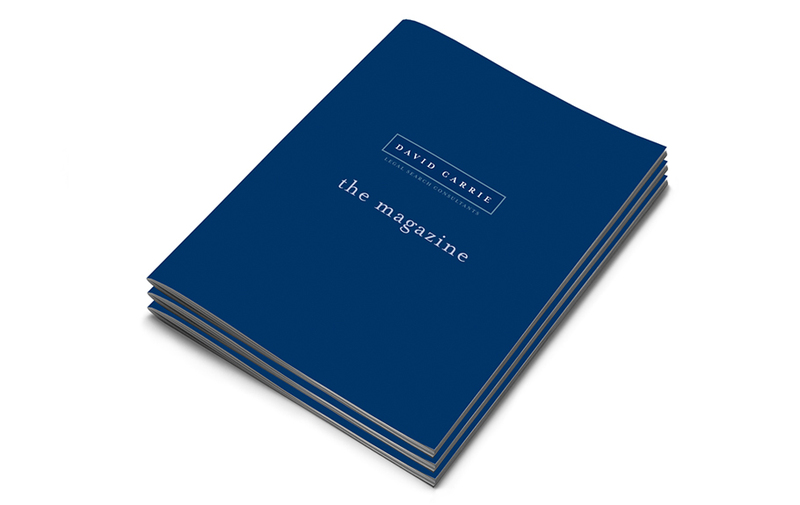 The new brand gave David Carrie a unique identity that worked across both print and digital platforms and conveyed their high level of expertise and professionalism and appealed to both candidates and law firms.